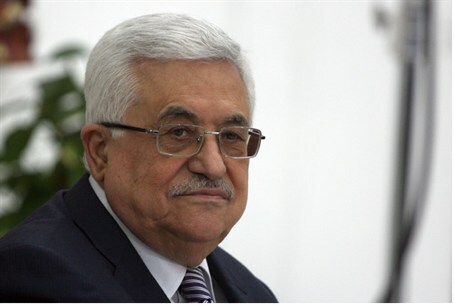 PA Chairman Abbas: We won't recognize the Jewish State, because then no "Palestinian" refugees will be able to return. Palestinian Authority Chairman Mahmoud Abbas said on Sunday that the PA will not meet Israel’s demand that it recognize Israel as the Jewish State, Kol Yisrael radio reported. According to the report, Abbas explained this statement using the reasoning that once that the PA agrees to this requirement, there would be no value to the million and a half PA Arabs living in Israel, and no refugee would be allowed to come back to Israel, in keeping with the PA demand that Israel allow millions of Arab refugees to return to their old homes in Israeli cities as part of a future agreement. Abbas made the comments during a meeting of Arab foreign ministers in Cairo, the report said, and added that Israel still refuses to stop building in Judea and Samaria. He said that one day PA Arabs will wake up and find a Jewish settlement in the heart of the PLO’s Muqata headquarters in Ramallah. He said that the PA leadership intends to send a letter to Prime Minister Binyamin Netanyahu and emphasize that it will resume peace talks with Israel only if it stops building Jewish homes in Judea and Samaria, accepts the principle of two states along the 1949 armistice lines (the so-called 1967 borders), and release prisoners, especially those who were imprisoned before the second intifada began in 2000. Abbas stressed that the PA will await Netanyahu’s response and added that if its demands are rejected it will once again turn to the UN to pursue a unilateral statehood bid. Abbas’ comments come less than a week after he signed an agreement with the Hamas terror group in Doha. The reconciliation agreement between Hamas and Abbas’ Fatah faction calls for Abbas to head an interim government, which will be made up of "independent technocrats." The new PA interim government is to be presented on February 18 in Cairo. Abbas has claimed the agreement does not contradict with the peace process, but at the same time has continued to present Israel with preconditions for peace talks, as he has done for almost three years since Netanyahu took office. While Fatah is often considered the “moderate” of the two factions, Fatah official Nabil Shaath said last week the new interim PA government "need not recognize Israel." "It is the PLO, not the PA, that recognizes Israel," Shaath insisted in an interview with the Hamas-affiliated Arabic-language Al Quds, in an attempt to justify forming a unity government with Hamas, which continues to call for Israel's destruction. Shaath's statements run counter to clear conditions set by the Quartet for Middle East Peace - the European Union, Russia, United Nations, and United States - for Hamas to be included in a PA government. Quartet officials have said Hamas must recognize Israel's right to exist, formally abandon terrorism and violence, and uphold agreements signed by previous PA governments with Israel and any other entity. Meanwhile, the Prime Minister’s Office responded to Abbas’ Sunday comments and said that his speech turns away from peace. Instead of negotiating to end conflict, the PMO said, Abbas prefers to join the terrorist group Hamas which embraces Iran.